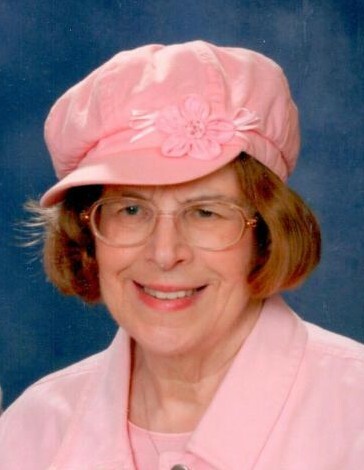 Pamela Vale Wolfmeyer, 74, of Winona passed away to the Lord on Sunday, January 20, 2019, from the Haven at Cottgewood in Rochester, MN. She was born on October 10, 1944, Akron, Ohio, to H. Johann and Elisabeth Eschbach. She was baptized and confirmed in the Lutheran faith. She grew-up in Cedar Rapids, Iowa. She graduated from Jefferson High School and Grinnell College. She did graduate work in Industrial Relations at the University of Wisconsin-Madison. Pamela married Marvin Wolfmeyer on June 8, 1968 at Calvary Chapel in Madison. They joined the faculty of Winona State College on Aug 1969. Pamela developed the Human Resource Management degree major. She retired a full professor from Winona State in May 2008. Pamela enjoyed all music but particularly loved singing. She was also actively involved in her church, heading the altar guild and the Christian Growth Board many years. Pamela is survived by her husband, Marvin of Winona, and three sisters, twins, Noel Diehl and Carol Berendts of Noblesville, IN, and Melody (Patrick) Greco of Carnesville, GA; as well as nieces and nephews. She was preceded in death by her parents. Funeral services will be held at 2 PM on Saturday, January 26, 2019, at Redeemer Lutheran Church in Winona. The Reverend Kevin Froelich will officiate. Pamela's family will receive relatives and friends at the church on Saturday from 1 PM until the time of the service. It is respectfully requested that in lieu of flowers, memorials be directed to the Vacation Bible School fund at Redeemer Lutheran Church. Online condolences or memories may be left for Pamela’s family at www.watkowski-mulyck.com.